Everything has been upgraded, added to or supplied new to this stockfeed mill. New intake pit with grain cleaning. 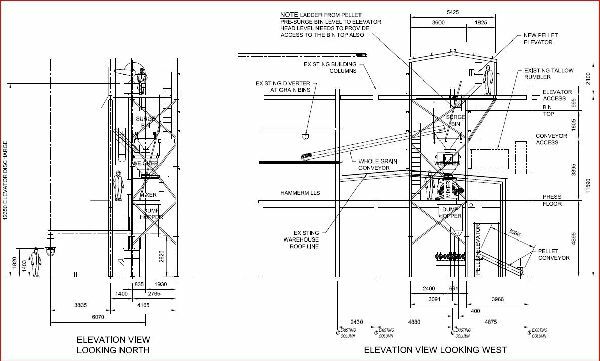 New Rollermill, additional ingredient bins, new mixer, new mixed meals bins, new pelleting tower, and outloading. Air system retro fitted to existing grinding installation. 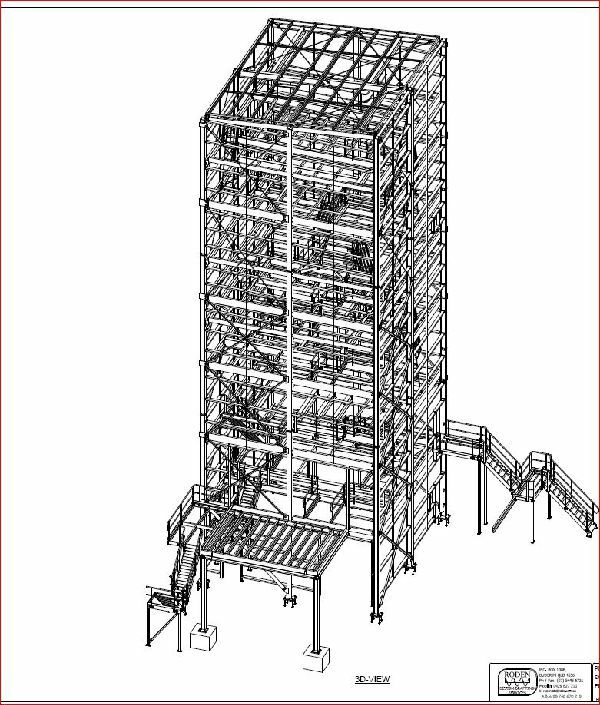 included ducting / filter / collection hopper / prodict return / access platforms and ladders. Liquid addition system for the addition of liquids to pelleted products. The addition of whole grains is also possible through this system. 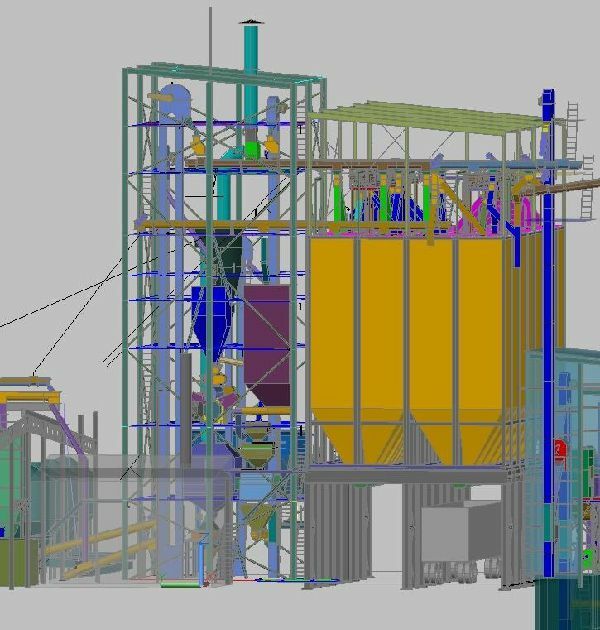 Mixing plant. 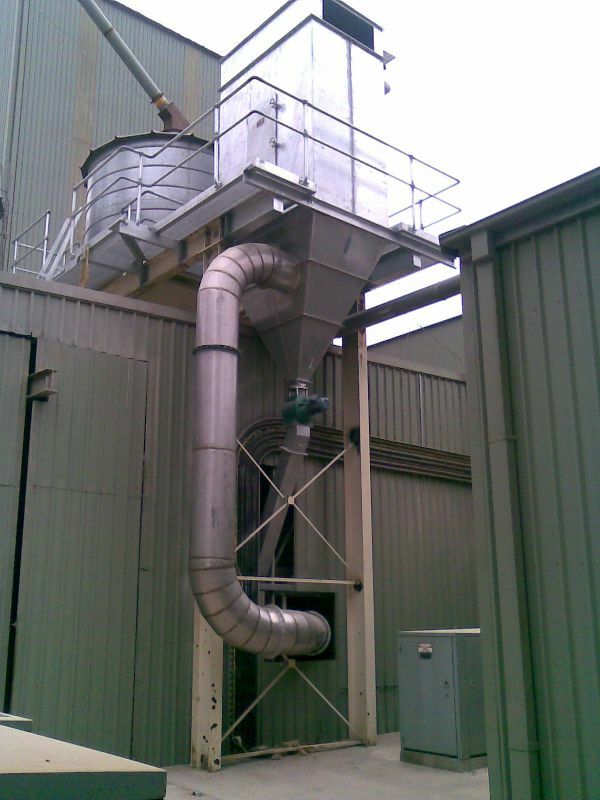 Capacity to add products from storage silos or bag hand tipping to a weigher. 2 tonne batch mixer directly feeding bagging.